With Tesla - no longer going private - mired in scandal after Elon Musk tweeted scandal which now also includes the regulators sniffing around, a key concern among investors is that with the company stuck in damage control mode, its competitors will be able to catch up if not overtake the once iconic car maker. And nowhere is this more true than in the case of NIO, a flashy Chinese start-up which hopes to rival Tesla in China, plans to raise as much as US$1.32 billion in its US initial public offering – the first listing by a Chinese electric vehicle maker in the US. The company, which is backed by Chinese social media giant Tencent, is offering 160 million American Depositary Shares at a price range of US$6.25 to US$8.25 per ADR, it said in a Tuesday filing. At the top end, its market cap would be a stunning US$9.24 billion. Stunning, because unlike Tesla, NIO has yet to generate any material revenue. Or maybe in today's upside-down world, that helps. According to SCMP, NIO kicks off its IPO roadshow in Hong Kong Wednesday, and moves to Singapore on Friday and London next Monday, according to people familiar with the matter. NIO managers will then head to the US to give presentations to potential buyers, with stops planned in Boston, New York, Chicago and San Francisco. IPO pricing is expected on September 11, with the first day of trading set for September 12. The company plans to use IPO proceeds on research and development of products, services and technology, marketing and developing sales channels, building manufacturing facilities, rolling out its supply chain, and for general corporate purposes and working capital. Eight investment banks acted as joint bookrunners on the deal: Morgan Stanley, Goldman Sachs, JP Morgan, Bank of America Merrill Lynch, Deutsche Bank, Citigroup, Credit Suisse and UBS. Before the IPO, Li Bin held a 17.2% stake in the company and Tencent owns 15.2%, according to the S-1 filing. 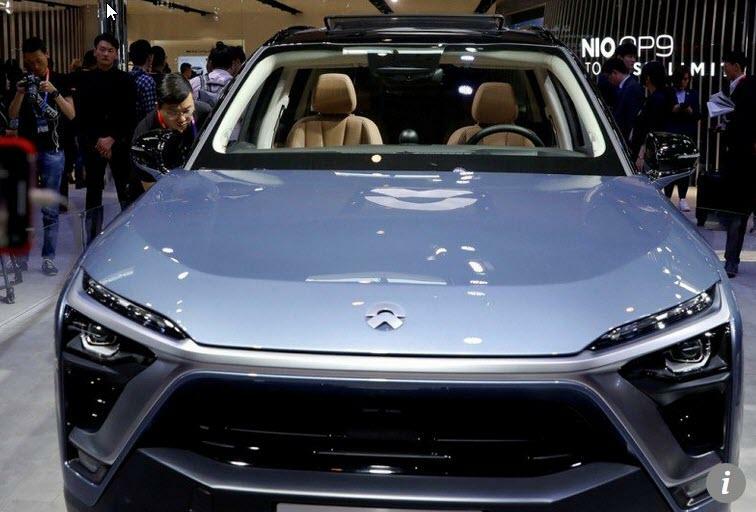 NIO is a newcomer to the rapidly growing EV market in China. The company, which was founded in 2014 by Li Bin, only launched its first production vehicle ES8 – an all-electric, seven-passenger SUV – in December of last year. The company claims its cars have similar performances as Tesla’s, but at half the sticker price, the SCMP reports. The ES8 sells at a base price of 448,000 yuan (about US$66,000), while Tesla’s Model X has a base price of more than double that, or 920,000 yuan in China. 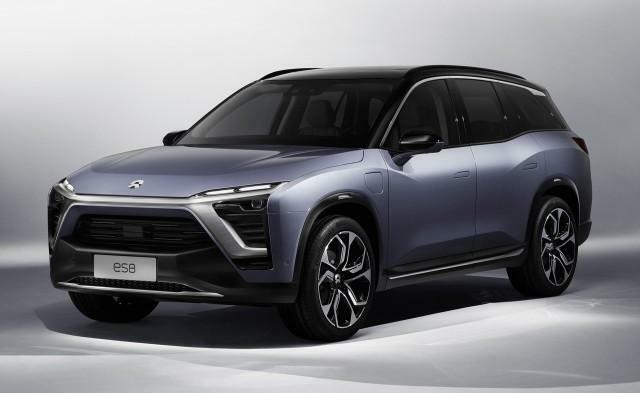 While technically a startup, NIO has already delivered 1,381 of ES8s, and has deposit-backed orders for another 15,700, it said. In comparison, Tesla – the biggest-selling electric car maker in the US – sold 17,000 vehicles on the mainland last year, a jump of 51.6% from 2016, according to the China Automobile Dealers Association. Tesla hopes to greatly ramp up that performance, and has said it is setting up its Gigafactory 3 at Lingang near Shanghai’s free-trade zone, with an annual capacity to produce 500,000 electric vehicles (it is unclear whether Musk will be able to obtain the required billions to fund the expansion). Meanwhile, for those hoping to hit a home run by buying the next Tesla, NIO only started generating revenue this year, with US$7 million for the first six months. But it suffered a net loss of more than US$502 million during the same period. In 2017, it lost US$759 million. Then again, Tesla's own bottom line isn't any better. Just like Tesla, NIO expects to splurge in coming years, and projects its capex will hit US$1.8 billion in the next three years. And also just like Tesla, buyers of ES8s enjoy subsidies from the Chinese central government and several local governments, although exact amounts were not given. That said, the EV sector is bracing for complete removal of subsidies by 2020.